The Supreme Court on Thursday delivered a significant ruling on the extent and power of constitutional courts to interfere in matters of academic nature. A vacation bench of Justice UU Lalit and Justice Deepak Gupta allowed the appeal preferred by the Uttar Pradesh Public Service Commission (UPPSC), setting aside the Allahabad High Court judgment requiring the commission to re-evaluate answer-sheets of the PCS preliminary examination that was held in September last year. The bench held that “the High Court overstepped its jurisdiction by giving the directions which amounted to setting aside the decision of experts in the field”. The impugned judgment was pronounced in March on a batch of 11 petitions alleging that answers to a few questions in the exam were either incorrect, vague or confusing. It was further alleged that a few answers in the answer key were incorrect and that some questions had more than one correct answer. In total, 14 such questions were pointed out. In order to examine the correctness of the assertions, the court had carried out a question-wise inquiry. It had then directed re-evaluation of 12 questions and directed that only the candidates who would qualify upon such re-evaluation would be the ones entitled to appear in the mains written examination. In the judgment rendered on Thursday, the bench placed reliance on Kanpur University v. Samir Gupta (1983), wherein the apex court recommended a system of (1) moderation; (2) avoiding ambiguity in the questions; (3) prompt decisions be taken to exclude suspected questions and no marks be assigned to such questions. The recent Ranvijay Singh v. State of UP (2017) was also referred to. 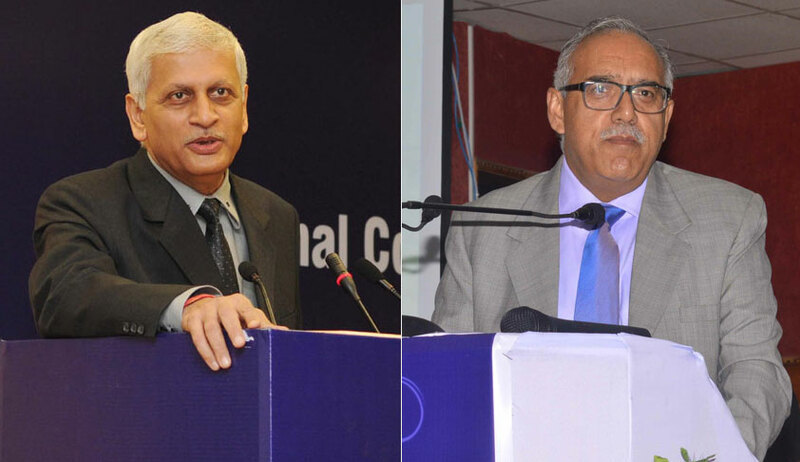 The bench also noted that in the present case, even before publishing the first list of key answers, the UPPSC had got the key answers moderated by two expert committees. Thereafter, objections were invited and a 26-member committee was constituted to verify the objections and after this exercise, the committee recommended that five questions be deleted and in two questions, key answers be changed. “It can be presumed that these committees consisted of experts in various subjects for which the examinees were tested. Judges cannot take on the role of experts in academic matters. Unless the candidate demonstrates that the key answers are patently wrong on the face of it, the courts cannot enter into the academic field, weigh the pros and cons of the arguments given by both sides and then come to the conclusion as to which of the answer is better or more correct,” stated the bench.